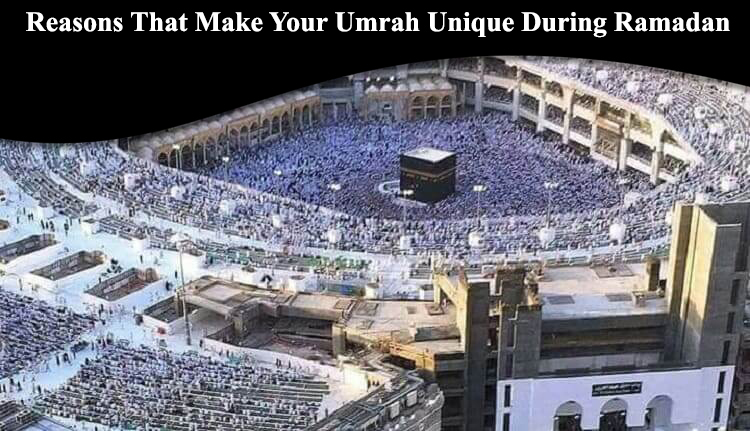 The reward of an Umrah equivalent to a Hajj, during the month of Ramadan that means it has incredible value. For some years now, the month of Ramadan comes during the spring and summer. In Saudi Arabia, it’s already 35-40 degrees in May, so in July and August, the temperature rises to 45 degrees fast enough and travelling to make an Umrah in a state of fasting is more meritorious. During the Umrah during Ramadan, you can do read or listen to the Quran, have your fasting meal with everyone that is to say, with people coming from all over the world, whom you do not know but with whom you share a unique moment with fresh local dates and camel milk. Praying salat at-tarawih that closer to the Kaaba, just thinking about it, it’s a dream come true and it means at the centre of the world, in the most cherished place in the world is in front of you. As in many Muslim countries, life changes during the month of Ramadan. After salat al-Maghreb, it is the fast-breaking meal, and the restaurants are stormed. Better to eat before (about 2 hours before) to avoid the endless queues and risk missing the salat al-isha. Time goes very quickly between salat al-maghrib and isha. So, it is the best advice to eat light between Maghreb and Isha in order to have an interesting place in the Mosque and after the salat al-isha or Tarawih to eat at that time. The Night of Destiny (Laylat al Qadr) is a particular night and we feel it when we are at the mosque, or at home. What to say when you are in the Mosque all ready for the Kaaba, and where everyone present wants to enjoy this unique night. The atmosphere is indescribable because it’s a spiritual night that not to be missed. At the beginning of Ramadan, we have many good resolutions. But with the rhythm of life, it is difficult to hold these resolutions and at the end of the month, we blame ourselves for not having benefited from it and for not having created a framework around oneself which makes it possible to arrive there. This is why it is easier to develop spirituality in Umrah during the month of Ramadan. So, if you plan to perform Umrah in the holy month then choose Umrah Ramadan Packages that are offered by Kaabah travel agency.